So, the 30-30-30 and 45-10-45 ARE pro numbers after all...? I don't make that distinction. Nobody pays me to spear and freedive But without training, bigger numbers on that drill would be easier for somebody with a larger lung capacity. So yeah, like all numbers thrown out just figure out what works for you.  Most of freediving drills should be challenging but possible for you. Just adjust the numbers so you can do 8 reps of the exercise would be my 2 cents. what if I don't get contraction at all ?? One other drill that can help with these sort exercises is just performing a very long breath cycle. I am sure it's a yoga thing, too. Basically just set an interval, likesay 1:30, and the game is that you spend 30 seconds on a single inhale, 30 secs hold, 30 secs on a single exhale, repeat ad nauseum. So one breath every minute and thirty seconds. It probably has some lung stretching benefit but it's mostly mental training, and you can vary the intervals, ie 45 sec inhale, 10 sec hold, 45 sec exhale, whatever. With practice you will get better quickly and times will increase. I never tried to INHALE for 30 or 45 s...But the scheme looks interesting, one can follow it in any circumstances.. I give up at 70 sec but start to do that one breath dry walk and taking the breath every round depend on contractins number then next round contractions should be more by 1 at least ,ex 1st round 2 co , 2 round 3con . I know this would be stupidly easy for whoever is over 2min max, but I can onlt hold it for 50 secs, dont judge please. I managed to repeat the above sequence 15 times, any tips or disclaimers in how could I get better? First of all its important to understand that the goal of a CO2 table is to get better at "full" breath holds, not to get better at CO2 tables. To look at this another way imagine you are doing pushups as a way of training to throw a ball harder. You shouldn't worry about getting better at the pushups, just focus on if they are having a positive effect on your true aim. just to reiterate, nn a freedivers case we don't want to be good at CO2 tables, we want to use CO2 tables (and other things) to get good at longer breath holds. Also, 50sec on a one breath table 15 times is quite a lot, especially if you have a 2:00 max. Personally I've only done a one breath table twice. My best static was 4:35 at that time and I only managed around 1:10 average time on 16 holds. (1st was 2:30, 2nd, 1:45, then the rest were all around 1:00-1:15). Also nr. of contractions is not a good indicator. Example: I have a dry pb of : 6:48 and tried to do 10 contractions *15 times, and I was unable to do it. First hold was 3:10 and after 11 holds I aborted due to extreme discomfort. My normal 1 breath CO2 training is first breath hold 1:45. One breath. Then 1:30. One breath. 1:30. Then between 1:00-1:10 for 16 total. My PB is 6:00. I like this as it’s more efficient and I don’t gaff lots of time. This is dry for me as not much access to water.